The UN General Assembly has proclaimed 1981 as the International Year of Disabled Persons (IYDP). The main theme of the Year is "full participation and equality". 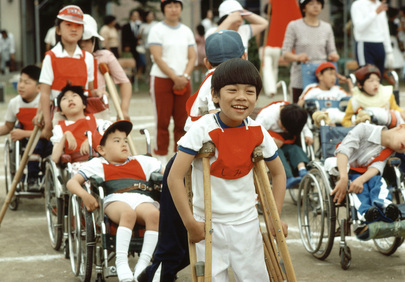 Disabled young children of the Kome School in Tokyo. The school which is operated by the City of Tokyo is the oldest educational institution for the disabled children in the city.